To obtain an MC class licence, you will need to pass a CBT course in a B-double vehicle. 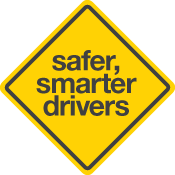 If you hold a current driver's licence and meet the minimum driving experience requirements for the desired licence class, you can drive a motor vehicle of that class without a learner's permit - but only under learner's permit conditions and laws. An exemption or restricted licence is not available for an MC class licence. What can I drive on a MC class licence?